A very, very entertaining game! Saturday night, Sharon, Janie, Kevin, Eric and Larkin all went to the Sacramento Kings versus Philadelphia 76ers NBA game. Before the game, Sharon, Janie and I went to dinner at Camden Spit and Larder. I had house pappardelle pasta [butternut squash, cultivated mushrooms, hen egg, parmigiano reggiano, gremola], while Sharon and Janie split an organic roast half chicken [olive oil whipped potatoes, rapini, green sauce, charred lemon]. I gave my meal a "B-". With the Kings leading from the start, Jimmy Butler pulled the 76ers ahead by one point at 98 to 97 with 4:30 left in the game. Butler had two four point plays in the fourth quarter. The Kings closed the game on a 11 to 5 run to win by the score of 115 to 108. The 76ers were led by Joel Embiid and Jimmy Butler. Embiid had 29 points on 11 for 18 from the field, 0 for 5 from three and 11 for 13 from the free throw line. He added 17 rebounds. Butler had 29 points on 11 for 18 from the field, 4 for 8 from three and 3 for 3 from the free throw line. Both Embiid and Butler played 39 minutes. Ben Simmons added 22 points. J.J. Redick didn't play. Without Redick in the line-up, the 76ers went 1 for 13 from three in the first half. Reddick leads the team with 8 three point attempts per game. I saw Bulter play for the Timberwolves in November before he was traded to the 76ers. I am still in awe of how big he is! The Kings were led by Buddy Hield. Hield was 12 for 21 from the field, 7 for 13 from three and 3 for 4 from the free throw line. Overall, the Kings just felt like a deeper team than the 76ers. 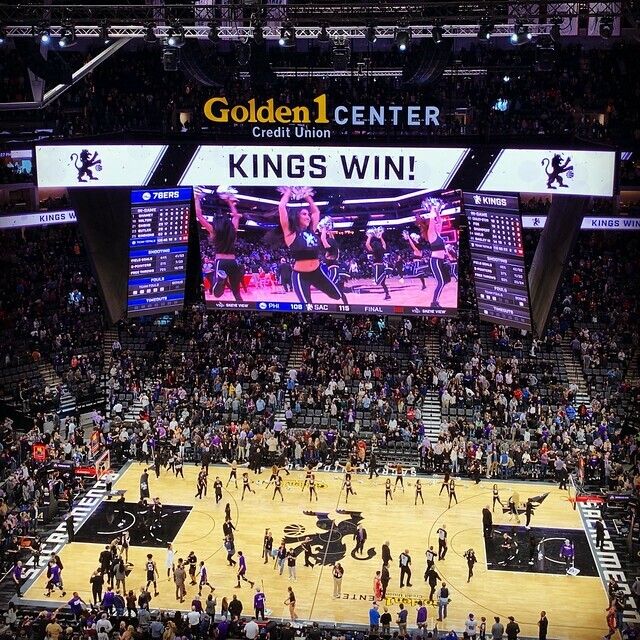 The Kings now have 5 wins and 2 losses in games that I have seen in person during the 2018-2019 season. My goal continues to be to see at last one game a month. A Celebration of the Life of Gene Klotz Jr.